Ottawa may not be a coastal city, but that doesn’t mean it’s not a beach town. 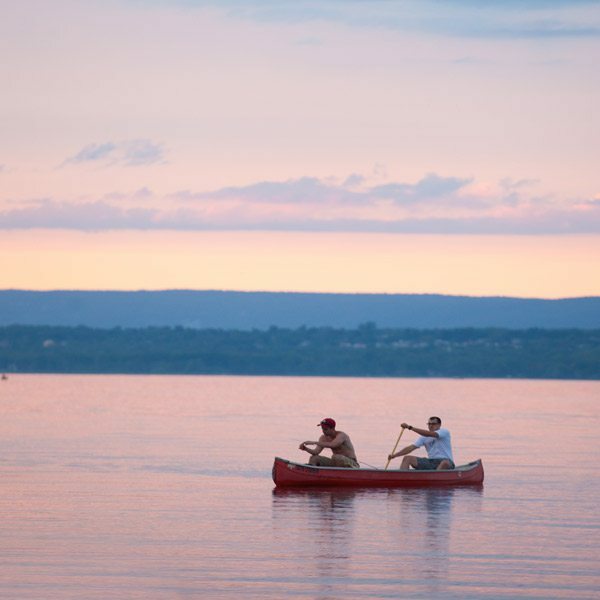 From the pristine lakes of Gatineau Park to the Ottawa and Rideau Rivers, life’s a beach in the National Capital Region. So take a refreshing dip at one of Ottawa-Gatineau’s top beaches! Gatineau Park: Canoe and kayak rentals are available at La Pêche Lake and Philippe Lake. Escape the beach crowds out on the open water. La Pêche is worth it for the longer, scenic drive through the park. Westboro Beach: The siren song of this scenic, neighbourhood beach is bolstered by live music and cold drinks on the café patio. Britannia Beach: Come for the picnic tables and shaded, mature trees, stay to watch the windsurfing at this west-end gem. Leamy Lake Park Beach: This urban beach in Gatineau feels timeless — a throwback to the Leave it to Beaver era. It’s like heading to “the old swimming hole”… only that hole is located in a 174-hectare urban park. Parc Moussette Beach: This small, sandy beach is found in west Gatineau, located just across the Ottawa River. The little known hideaway features a great playground and plenty of shade. Petrie Island Beach: Home to spellbinding views of the Ottawa River. Work up some sweat before the trip on the island’s seven kilometres of nature trails. Mooney’s Bay Beach: This Rideau River jewel entices with sandy shores and picturesque volleyball courts that host the annual HOPE Volleyball Summerfest.